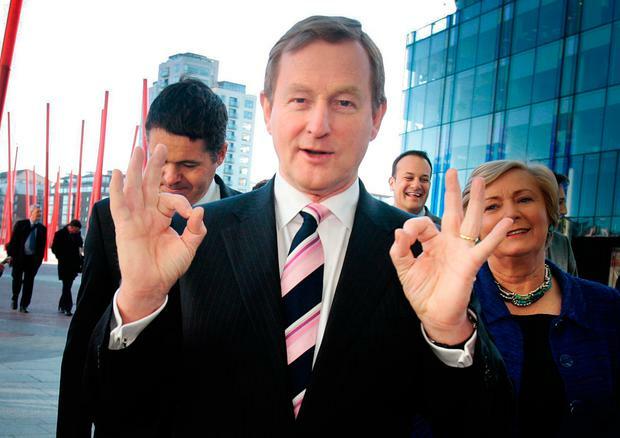 Enda Kenny's 15-year reign as Fine Gael leader ended at midnight but he will stay on in an acting capacity until June. For the first time the party is about to embark on a contest that includes the entire membership and hustings around the country. Potential candidates have seven days to come up with eight TDs, senators or MEPs who will sign their nomination papers. They must be members of the Dáil. Regional debates will be organised towards the end of next week. Sources say the hustings will be held in Cork, Dublin, the west and the midlands. These will be massively significant to the narrative over the coming weeks as it will be a rare opportunity to see the candidates debate each other. While Fine Gael's executive council has barred the candidates from taking part in TV debates, the internal party hustings will be streamed live on Facebook. The Electoral College is made up of the parliamentary party (65pc), ordinary party members (25p) and councillors (10pc). Party rules say the ballot will be by secret ballot. It is expected that members and councillors will vote at 28 different polling stations around the country. They will vote in the final days of May. Fine Gael chairman Martin Heydon will then call a special meeting of the 51 TDs, 19 senators and four MEPs where they will cast their votes. Counting is likely to be take place at a neutral venue in Dublin, with the winner to be announced on Friday, June 2. In his statement Mr Kenny said: "I will continue to carry out my duties as party leader in an acting capacity, until my successor is elected through the Fine Gael leadership election process. "I have asked that the Fine Gael executive council expedites this process and to have it concluded by close of business on Friday, June 2." He added that "throughout this internal process, I will continue to carry out my duties and responsibilities as Taoiseach in full". Once a new leader is appointed it will be their prerogative to appoint a deputy leader. At the moment, Senator James Reilly holds that position but it is expected a new leader will choose a TD. The new Fine Gael leader will not automatically become Taoiseach as this will require a vote in the Dáil. "I intend to provide a brief but appropriate period for my successor to engage with groups and members supportive of Government, and with other parties in the Dáil, regarding provision of Government for the future," Mr Kenny said.